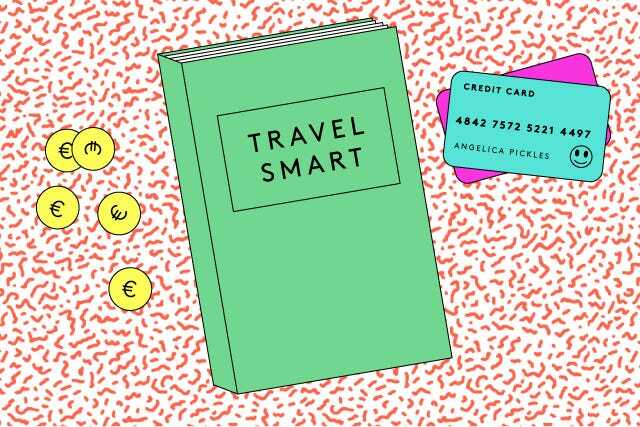 Nothing can ruin your vacation more than getting charged excessive fees that drain your bank account — or worse, losing your credit card and falling victim to identity theft. Why risk ruining your vacation? With careful planning, you can protect yourself from both theft and unnecessary expenses. Here are three tips to help keep your bank account financially sound and your finances running smoothly on your summer vacation. Most credit cards charge you 3% on every dollar you spend overseas. That means every $1,000 spent on your trip will cost you $30 in fees. 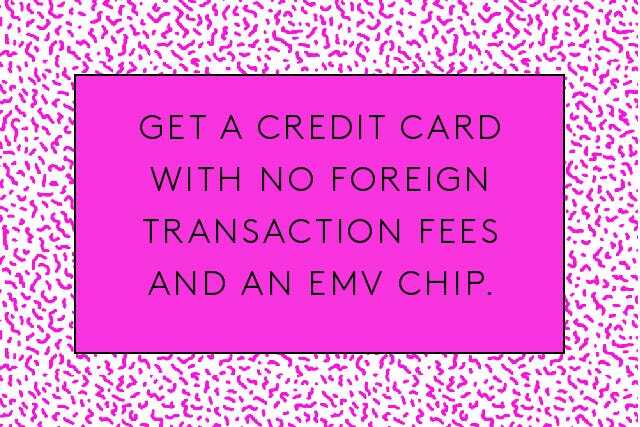 But, you can eliminate this unnecessary expense by carrying a travel credit card, which has zero foreign transaction fees. An great example is the Barclaycard Arrival World Mastercard, which also comes with travel accident insurance and fraud liability. In addition, some credit cards offer some pretty sweet travel rewards to earn you money back for your travel spending. For example, the Barclaycard offers 2.2% rewards on every dollar spent, when your rewards are redeemed for travel. The Bank of America Travel Rewards card offers 1.5 points on every dollar spent. It has no foreign transaction fees and a pretty decent sign-up bonus. You may also want to consider a credit card that has EMV chip technology, a secure microchip for transmitting data. This technology helps reduce counterfeiting and fraud. If your card is lost or stolen, the embedded microchip makes the card harder to counterfeit. These cards are easily accepted overseas. Not every hotel or restaurant will accept your credit card, so it’s important to have cash on hand at all times. 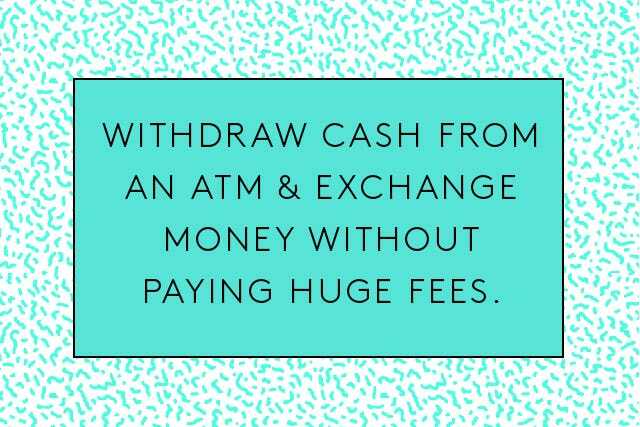 Unfortunately, withdrawing money at an airport or from a foreign ATM can come with number of fees, including a fee for currency conversion. First, you should try very hard not to exchange money at airports, which tend to carry the worst exchange rates. Nor should you exchange money at a bank at home, as you will most likely receive a better rate in the country you are traveling to. Using your debit card to withdraw money from ATMs overseas is actually not a bad option, since it tends to come with lower rates. A few banks make it easier on your wallet when it comes to withdrawing your money. Capital One is one bank that waives foreign transaction fees on ATM withdrawals. The Schwab Bank High Yield Investor Checking Account is another option. It offers unlimited rebates on any ATM fees you get charged, as well as no monthly service fees and .1% annual percentage yield (APY) on any balance. You’ll need to make sure things continue to run smoothly while you’re away. Missing a credit card or mortgage payment can have a very negative effect on your credit score, so why take the risk? First, make sure all of your bills and bank accounts are up to date before you leave. Consider scheduling payments ahead of time for any upcoming bills. Most banks should let you pay a bill automatically at a future date. 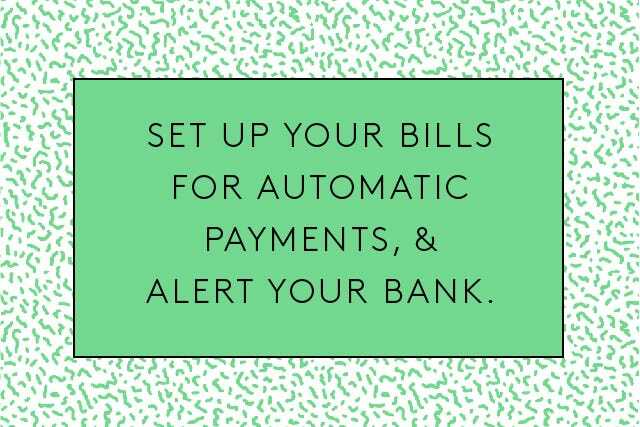 Next, you may want to consider alerting your bank that you will be on vacation. If a bank or credit card company sees that you’ve made a bunch of charges in an unfamiliar location, the bank may suspect fraud. Bank of America is one bank that has an option on its website to set up a travel notice. Have any more questions? Leave 'em in the comments!